Last week at City Council we tackled granny flats, transportation, gun violence prevention, and more. At the end of this week’s newsletter, please find links to city commission openings and civically-oriented job postings. The City Council aims to make it easier to permit and build accessory dwelling units. Before any final decisions are made, we discussed some of the granular details, including maximum size, number of units per parcel and allowed proximity to a neighbors’ homes. 4) the city could support the program by providing standard plans for accessory units, a development manual, and waiving or reducing permit fees. We directed staff to work with the Planning Commission on a new ordinance for our consideration. A relatively small increase in the number of housing units in our city is inevitable. This is because of state laws that require cities to accommodate a rising state population and because creating housing that is more affordable is a priority for the council. The question is, how do we want to accommodate this new housing? Some of it will be through up-zoning. But some of it could come through sprinkling accessory units into neighborhoods. Recent changes to state law make it easier and cheaper to build and permit these units. For example, a relatively new state law allows for the creation of “junior accessory units,” which are units of 500 square feet or less that are entirely inside of an existing home and include at least an efficiency kitchen and an internal door that is shared between the main home and the new unit. For older parents or adult children, this type of unit is ideal to create housing that accommodates multi-generational family living. A forward-looking vision that incorporates more accessory dwelling units is a necessary and desirable piece of the housing puzzle. 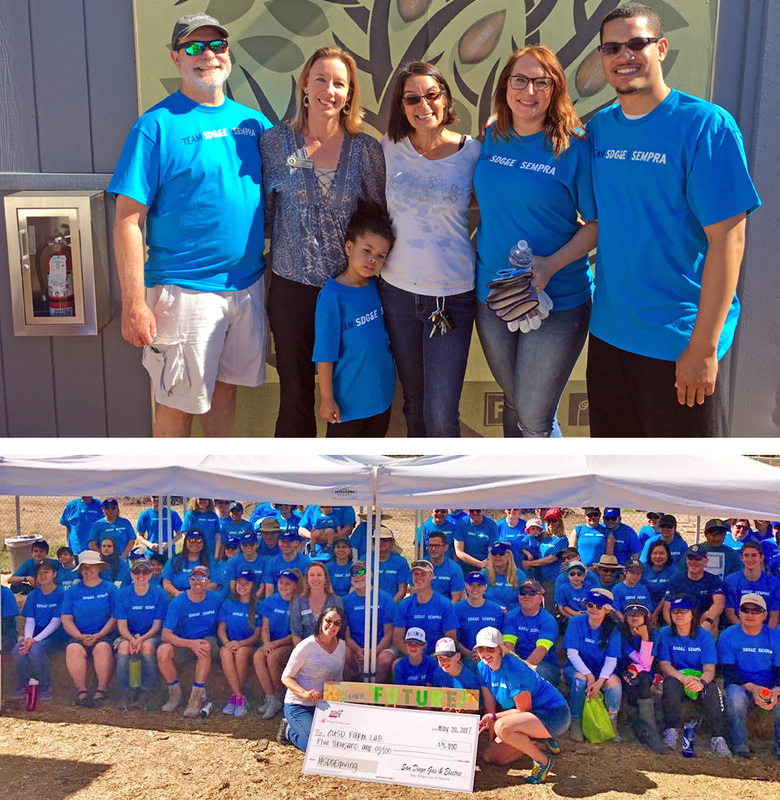 An impressively large number of volunteers from SDG&E turned out for a work day on Saturday at the Encinitas Farm Lab run by the Encinitas Union School District. Working in the heat, they helped expand the food forest, painted sheds, made signs, and planted vegetables, among other tasks. Thank you! 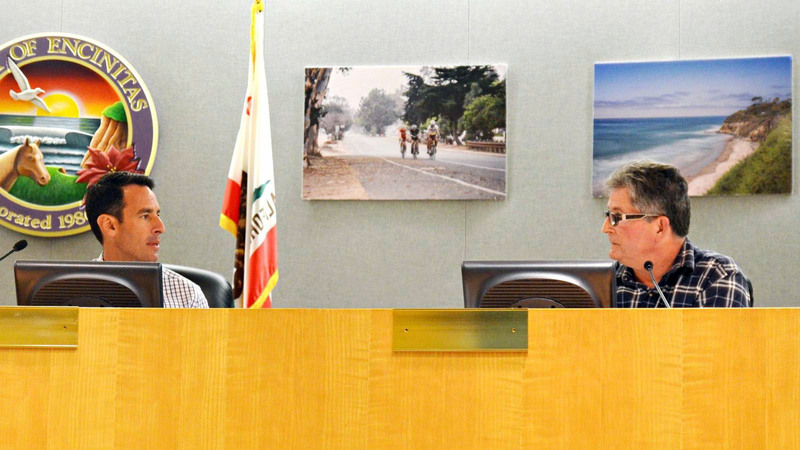 The City Council heard a presentation from the office of Assembly Member Lorena Fletcher-Gonzalez about her controversial proposed bill, AB805, that would change the governance structure of regional transportation agencies, notably SANDAG. Our City Council members expressed widely divergent opinions on whether we should support, reject, amend or express no opinion. We unanimously opted to take no position at this time, which I believe incentivizes her office to try and earn our support by working with us to implement changes. The bill has improved over the last several weeks as it’s been modified in response to feedback from the 18 affected cities in San Diego County. One of my biggest remaining concerns is that, as proposed, North County cities will never have the opportunity to rotate through the chairmanship of SANDAG. The chair of SANDAG, just like the mayor of a city, has a strong influence on the subtle decision-making and prioritizing that happens before any vote is even taken. Based on the nature of how decisions are made, I believe the orientation of the board would inevitably shift to the south and east and away from us in the north. We’ll see how this bill continues to be amended as it moves through state-wide committees. The city unanimously approved a proclamation declaring June 2nd as Gun Violence Awareness Day. Amy Ramaker, from Moms Demand Action for Gun Sense, told the City Council before our vote, “We don’t want to take away people’s guns. We just want people to know there’s a safe way and a right way to have guns.” Every day in our country, 93 Americans are killed by guns. Protecting public safety is a mayor’s and a city’s highest responsibility. Support for the Second Amendment rights of law-abiding citizens goes hand-in-hand with keeping guns away from dangerous people. Gun Violence Awareness Day is aimed at declaring that we must do more to reduce gun violence. Wearing orange, which is the color hunters wear to keep themselves safe, on June 2nd is a way to help raise awareness and show support. Here’s a Coast News article about this proclamation, plus our approval of next year’s special events in Encinitas, including the Surfing Madonna beach run and half marathon, and both the turkey trot and the Cardiff Kook run. And an opening on the Environmental Commission for an at-large member, information can be found here. And we’re accepting applications for the Urban Forest Advisory Committee, with the link here. The commissions give you the opportunity to be officially involved, with the relatively small time commitment of one meeting a month. I’ve met with several people interested in running for local office and I routinely suggest getting a sense of the city’s policies, organization and projects by serving on a commission. The deadlines are soon, so please take a look! Also, Leucadia 101 Main Street Association is looking for a new Executive Director. It’s been wonderful to work with Carris Rhodes and we’ll miss her dearly. Details are here. 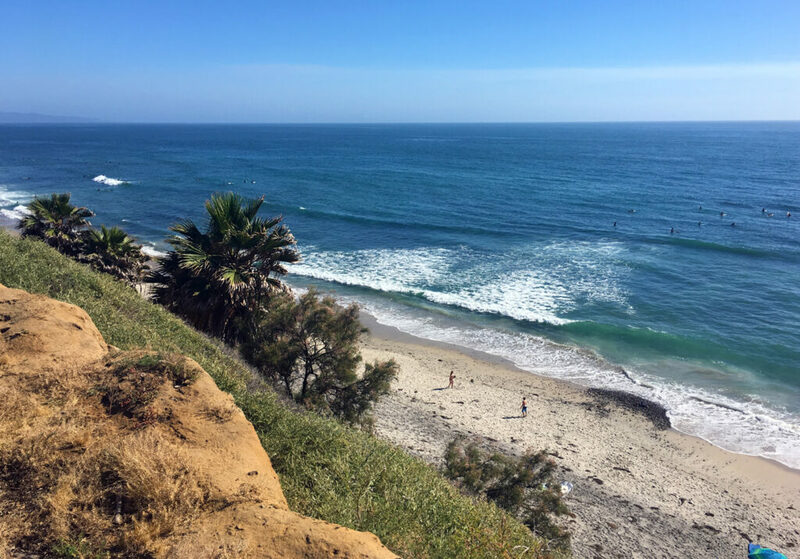 The Encinitas Arts Culture and Ecology Alliance is hiring a program administrator to help launch the former Pacific View school site into its new incarnation as a center for arts, culture and ecology. More info can be found here. And finally, our vibrant and active arts community is epitomized by the annual Arts Alive banner auction, where the public bids for banners created by local artists. It’s great fun and so authentically local. Information is here. It starts at 2 p.m. Sunday at Cardiff Seaside Market. I hope to see you there! Enjoy the hot weather in our local paradise! The beach in Cardiff was beautiful on Saturday. Previous Post5/14/17: Rail Trail Disappointment at the Coastal CommissionNext Post5/28/17: Affordable Housing, Wastewater Improvements, and an Award!